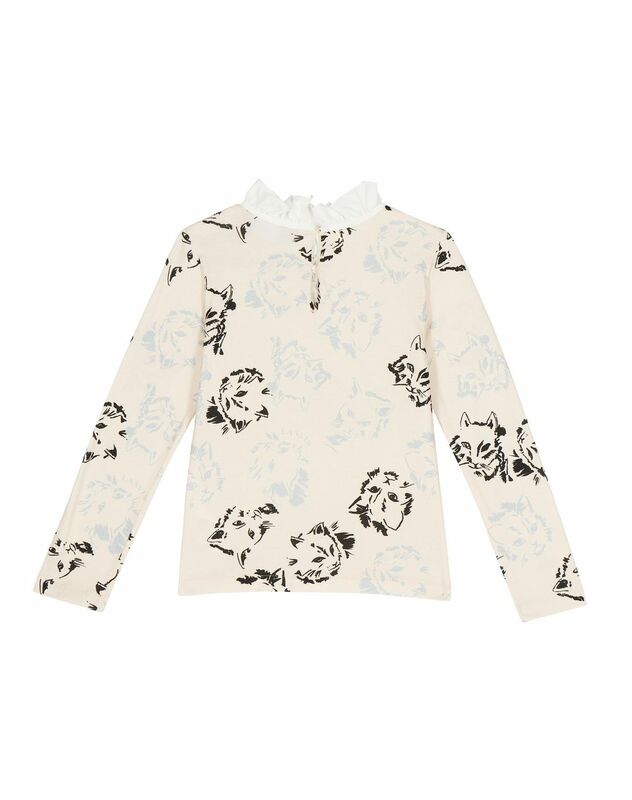 Long-sleeved T-shirt in pale pink cotton jersey, black and gray contrasting cat print, buttons on the back, ruffles and bow on the neckline, round collar. 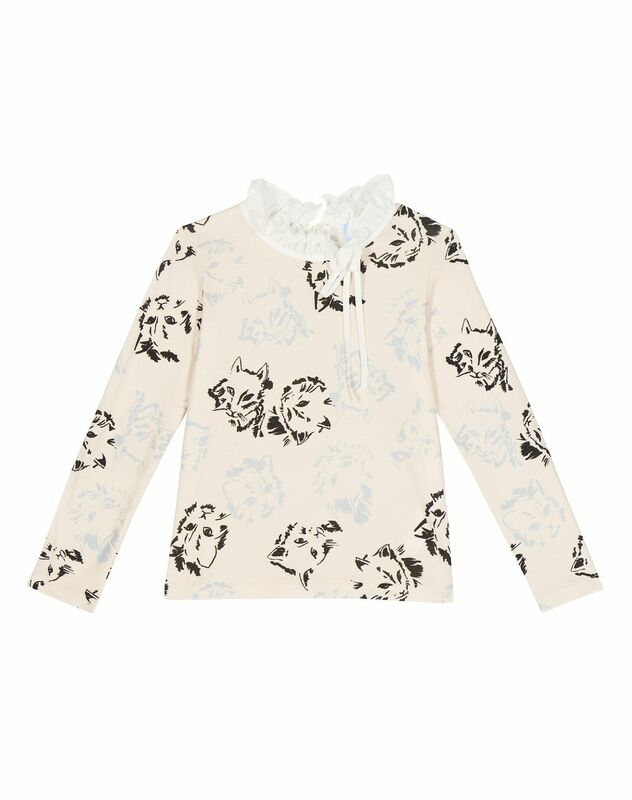 Inspired by the season’s key theme, this gorgeous pale pink T-shirt is an adorable addition to your child's wardrobe. A stylish and sophisticated model that's unmistakably Lanvin. 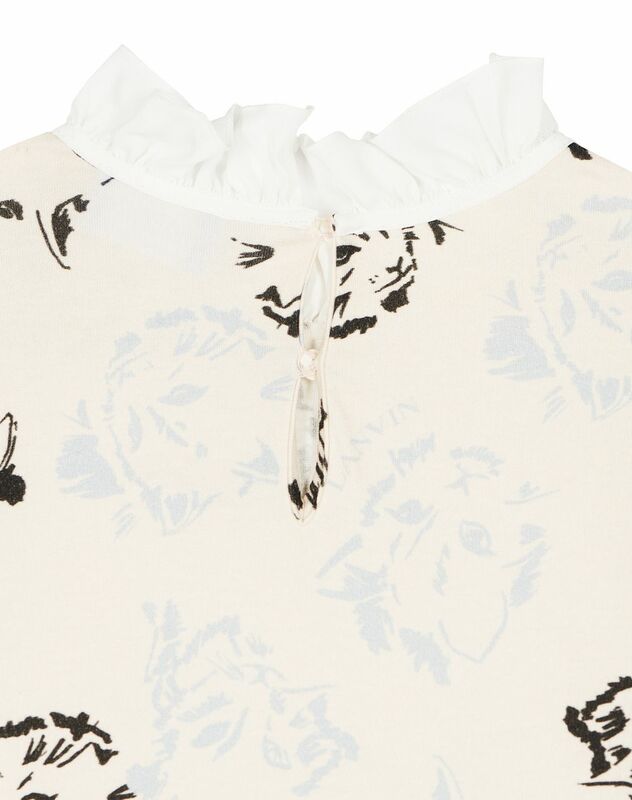 The lace collar gives this collection a refreshing touch of whimsy.